The Regatta Rain Shell combines durability and fashion. 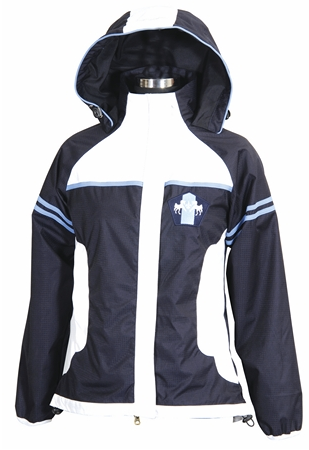 This water repellant windbreaker features a 2-way zip, hood, and Equine Couture detailing on the front and back. 100% Polyester. 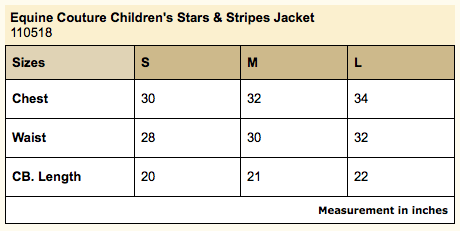 Your young rider will look absolutely adorable and feel stylish in our new Stars & Stripes Vest. Made with an extremely comfortable and flattering polyester fabric, you can layer this piece with any top. 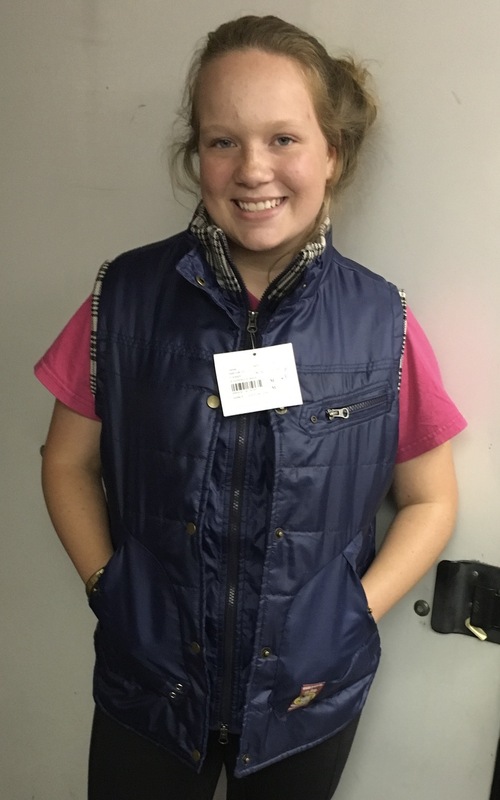 This children's vest also features various patriotic themed embellishments like the Stars & Stripes motif and Equine Couture logo. 100% Polyester. 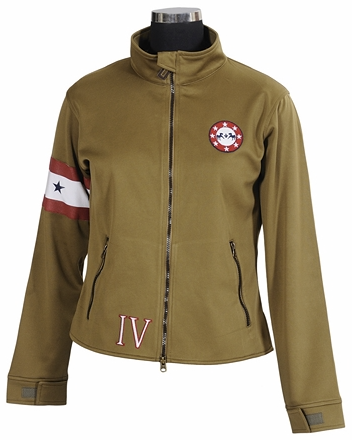 Complete your young rider's Stars & Stripes collection with this patriotic themed jacket. Your youngster will look cute and stay warm with a jacket that is ideal for both riding and casual wear. 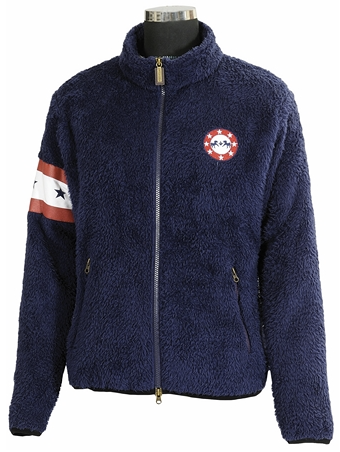 The stylish addition to the Stars & Stripes collection is adorned with unique patches to match the patriotic theme, as well as a detailed Stars & Stripes decorative armband to complete the look. 100% Polyester. 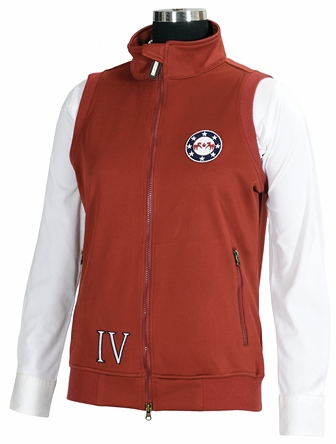 Your young rider can look stylish and keep warm in the new high pile fleece jacket by Equine Couture. Not only is this fleece jacket eye-catching and comfortable, but it is made with an extremely durable, soft, and warm high pile fleece. 100% Polyester. 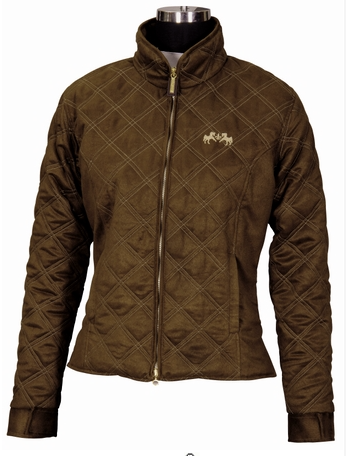 Equine Couture takes style to a whole new level with this stunning winter riding jacket. 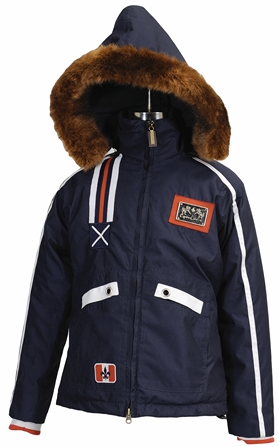 Perfect for the coldest days, this jacket features a removable, adjustable hood with faux fur trim; thick elastic cuffs for a snug but comfortable fit around your wrists; and an adjustable waistband to help keep the cold and wind out. The front zip closure can zip through the top of the collar for maximum warmth and protection. Four front pockets, two with zip closures, allow you to securely carry personal belongings with you. 100% Polyester. OUT OF STOCK IN ALL SIZES until February 2016. Sorry! The affordable Natasha Duet Jacket combines elegance and performance with the unique, but simple styling of contrast stitching against rich ultra suede. Comes with zip-off sleeves for easy conversion to suit your need for a jacket or vest. 100% Polyester.